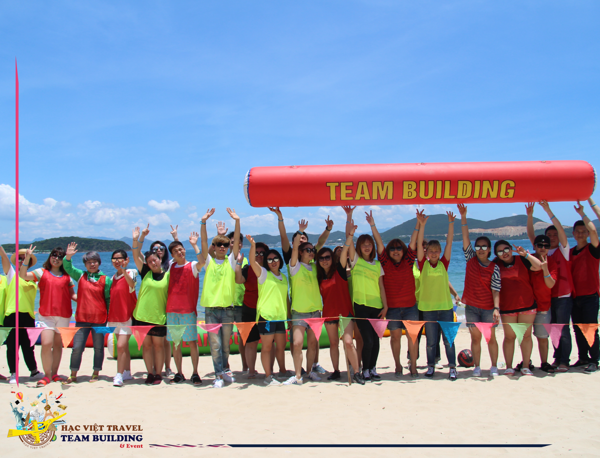 Team Building Nha Trang "Is the golden key" to create the power of team. It brings competition, intellectual challenge, strength and leadership of the individual, as well as the spirit of corporate solidarity. 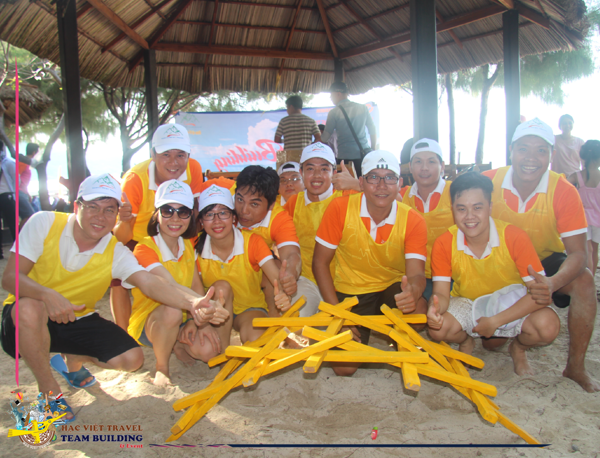 In that "Together We Win" is a team building program full of the above. Requires all members to have a rhythmic connection to this constant challenge. 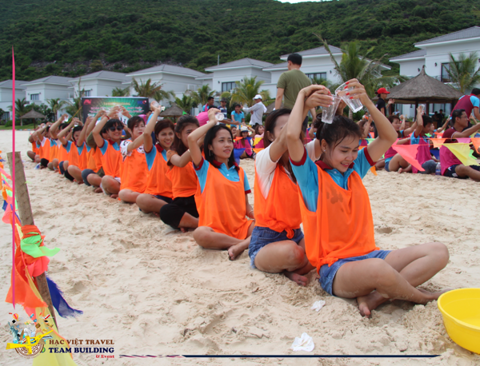 The game will be arranged depending on the mountain or sea to suit the team when joining team building in Nha Trang. - Receive confidental code and decryption. The whole team uses all available capabilities to complete the game. Teams require a mix of teamwork and team. The rule: Teams cross the road from A to B with the task of putting four pieces in place. 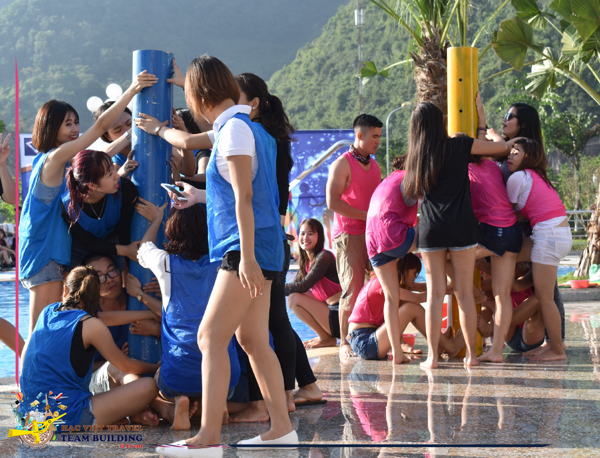 – Each team sends 04 players to move pieces, the other team moves teammates to the destination. – The first team to complete the four pieces is the winning team. – The team after the completion of the piece assembled set shooting team with FlyCam. 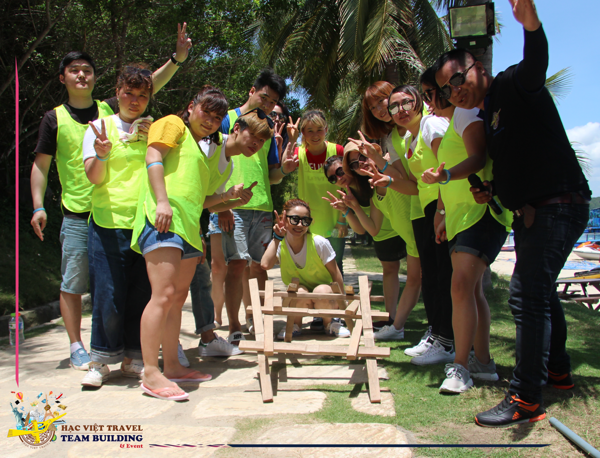 The rule: The Organizing Committee will provide each team with logs, the mision of the teams is to connect the logs together to form a bridge and walk on it. 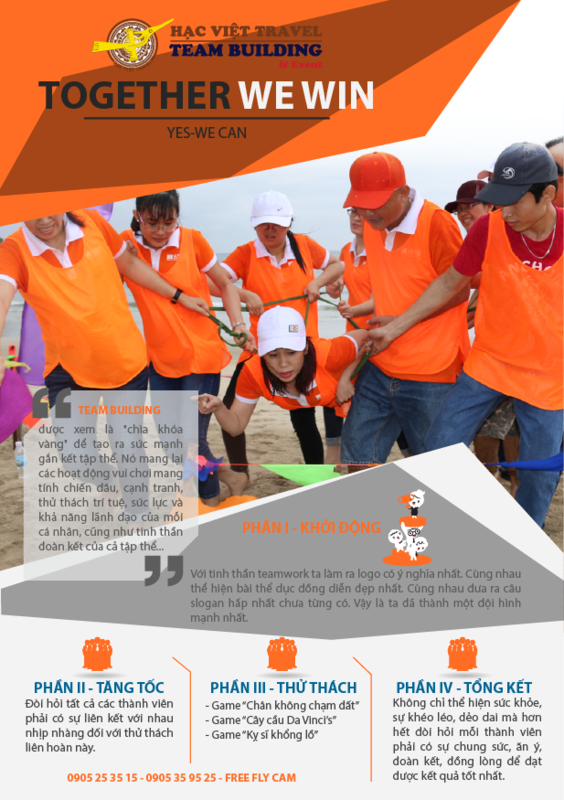 Meaning: Improve solidarity, ingenuity and teamwork together to support each other, requiring high logic, ability to calculate the captain. 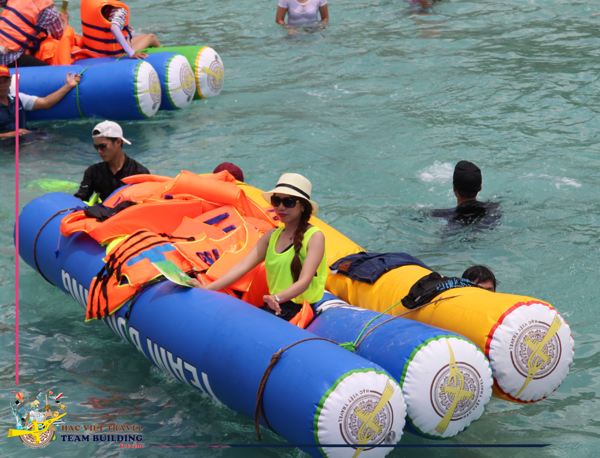 Rule of Play: Each team will receive 6 floats and 1 big ball. Mission: Each team member will be a mechanic who carries the spears of giant cannons. The work of all knights will use their own spears to lift the ball to the target. Note: Only use the float to lift the ball, the ball falling to the ground will break the rules and return to the starting point. 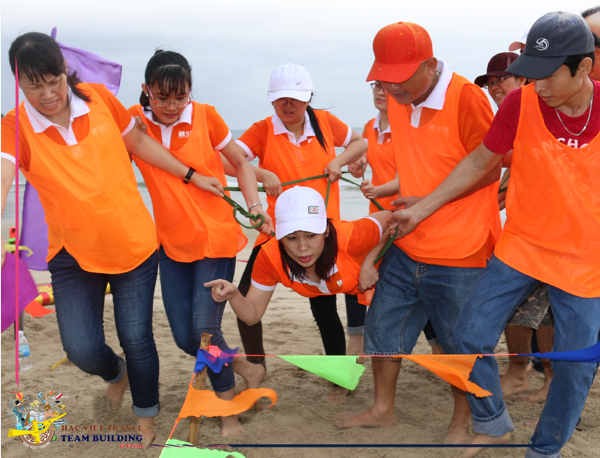 Not only show health, flexibility, toughness, but above all requires each member to have the collective, united, united, united to achieve the best results. 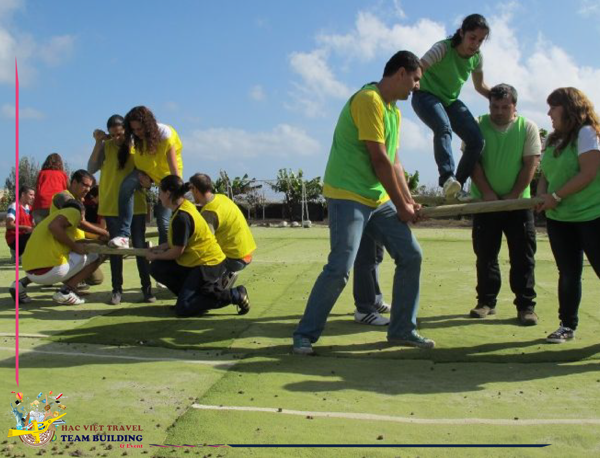 The rule: the MC will provide each team with the necessary equipment including one big pipe and 10 gutters. The teams pick up available items from MC find a way to get water to the prebuilt tower, inside the pillars are important items when the water rises, items will rise. 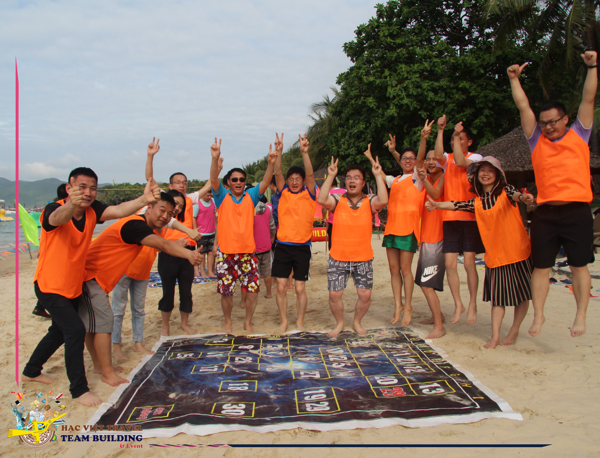 The team that retrieves the previous item is the winner. Note: There will be holes in the water pipe.